Dr. Stuart Cohen has more than 25 years of experience in providing psychotherapeutic and diagnostic services to children, adolescents, adults and families in the Charlotte area. Much of his practice involves individual, couples and family therapy. He also provides assessments for the diagnosis of Attention-Deficit/Hyperactivity Disorder. Originally from the greater Charlotte area, Dr. Cohen graduated from Vanderbilt University in 1978 with a B.A. in Psychology. He received his Ph.D. in School Psychology in 1984 from the University of Georgia, with an emphasis in child clinical studies. Dr. Cohen's prior work experience includes several different settings. He served as a Staff Psychologist with Charlotte-Mecklenburg Schools from 1984-1988. Additionally, he was a Lead Child & Adolescent Psychologist in the Outpatient Unit of Mecklenburg Mental Health Center during 1988-1993. From 1993-1996, he was a Staff Psychologist at the Carlton G. Watkins Center (a developmental evaluation center). 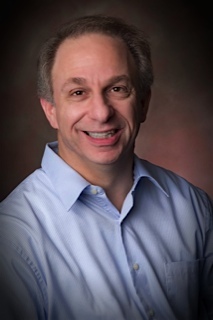 Dr. Cohen has been a member of several professional associations throughout his career, including having served as President of the Mecklenburg Psychological Association. In addition, he is a member of both the Division of Independent Professional Practice of the North Carolina Psychological Association, as well as of the American Psychological Association. He is also a current member of Children and Adults with Attention-Deficit/Hyperactivity Disorder (CHADD). He has also been certified as a Health Services Provider by the North Carolina Psychology Board. In his spare time, Dr. Cohen enjoys fitness activities, including swimming and running. He is married and the father of two children. 8318 Pineville-Matthews Road, Suite 280 L.